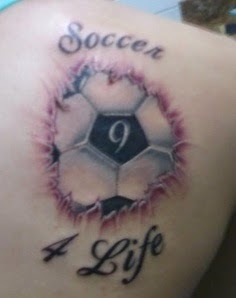 Here at FootyFair we love football, and we love tattoos. 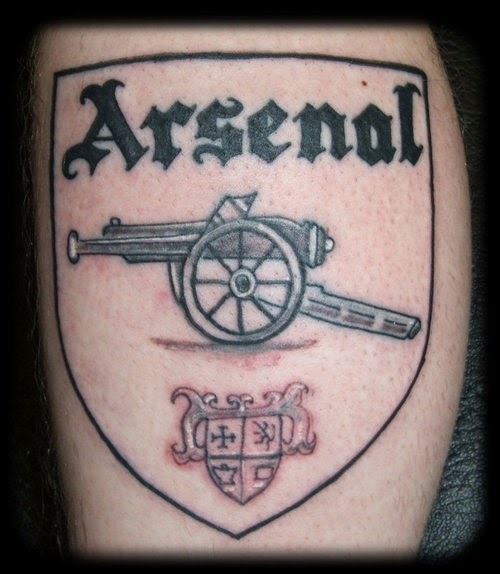 What we don't love are bad football tattoos. So here's a whole gallery of stuff we don't love. 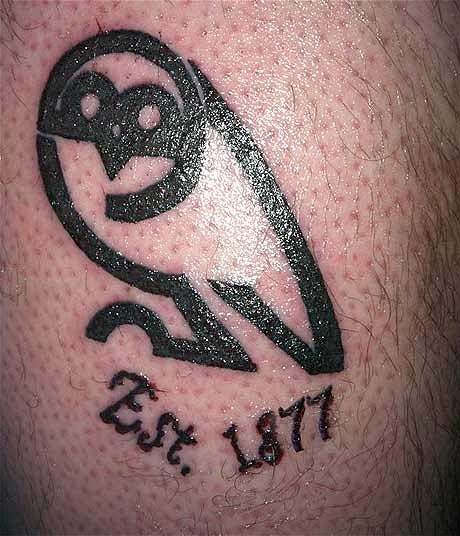 The artwork and the precision on the outline of this Sheffield Wednesday owl is not all that bad, only one issue genius, the club was established in 1867. The detail in this one is amazing. Also, I'm not sure if this guy didn't have enough money to get the whole thing done in one sitting, because it looks like all 3 elements in this masterpiece were done by three different drunk tattoo artists. L - written in this wonderful font + the price tag scanner from Wal Mart. Arsenal sure seem to have some creative supporters. 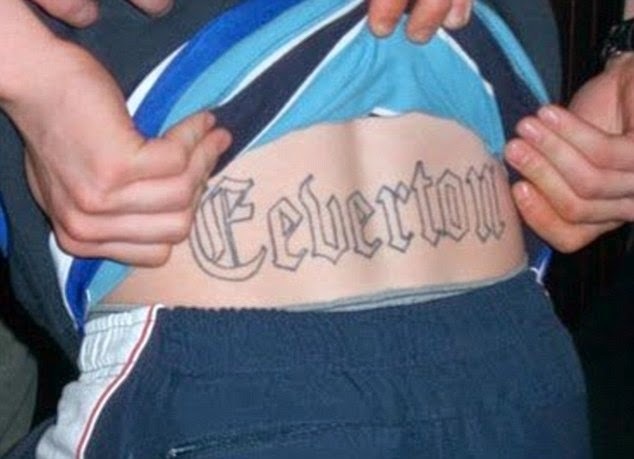 The most die-hard Eeverton supporter in the world this lad. He must be! He must also really hate Liveeerpool. 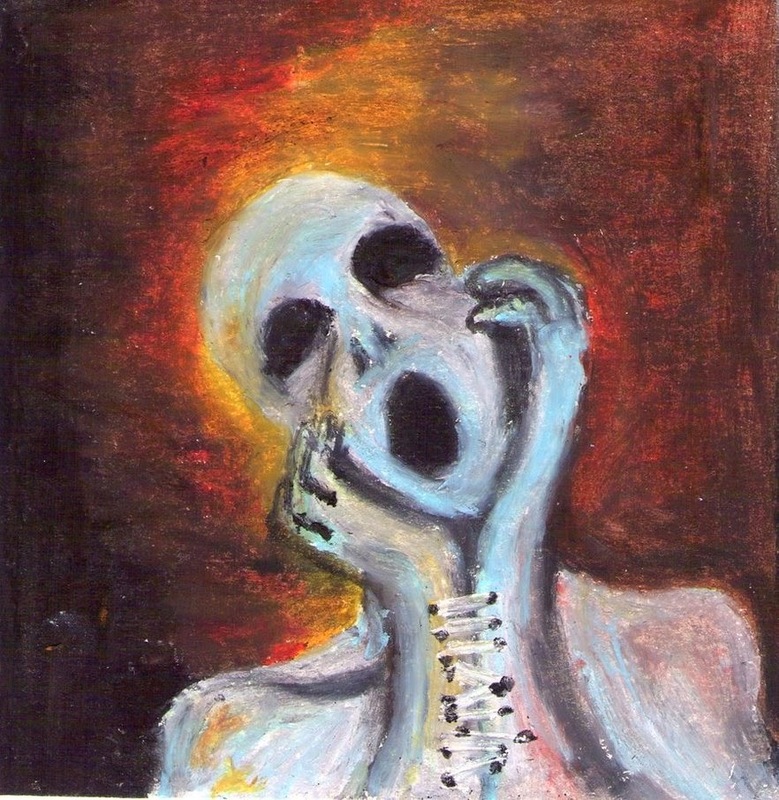 I'm sure most of you remember this dude's story. In 2009 he got so wrapped up in the hype of high spending City manager Roberto Mancini, that he was sure his beloved "Sky Blues" would win the Champions League in the 2010-11 season. 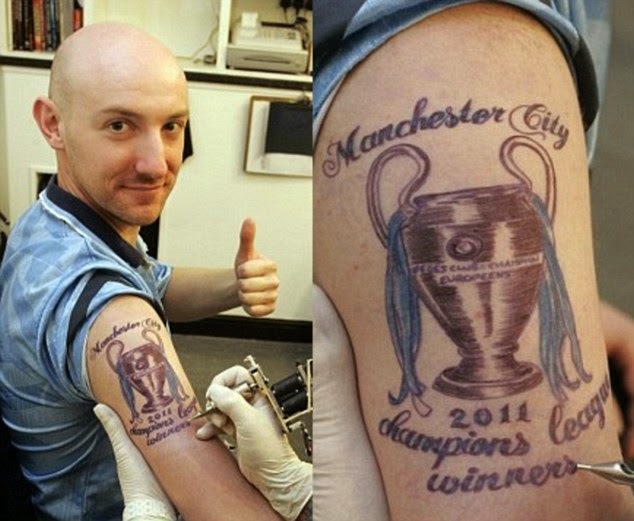 This fella was no modern day Nostradamus however, with City finishing the 2009-10 season in 5th place and not even qualifying to the Champions League to begin with. City ended up qualifying to the Europa League instead, where they crashed out in the round of 16 after an aggregate loss to Ukrainian club Dynamo Kyiv. What is with the angry sippy cup? oh never mind, it's one of the 3 towers of the Green Street House, and apparently he put his shoes on and is...maybe running away from the other three? 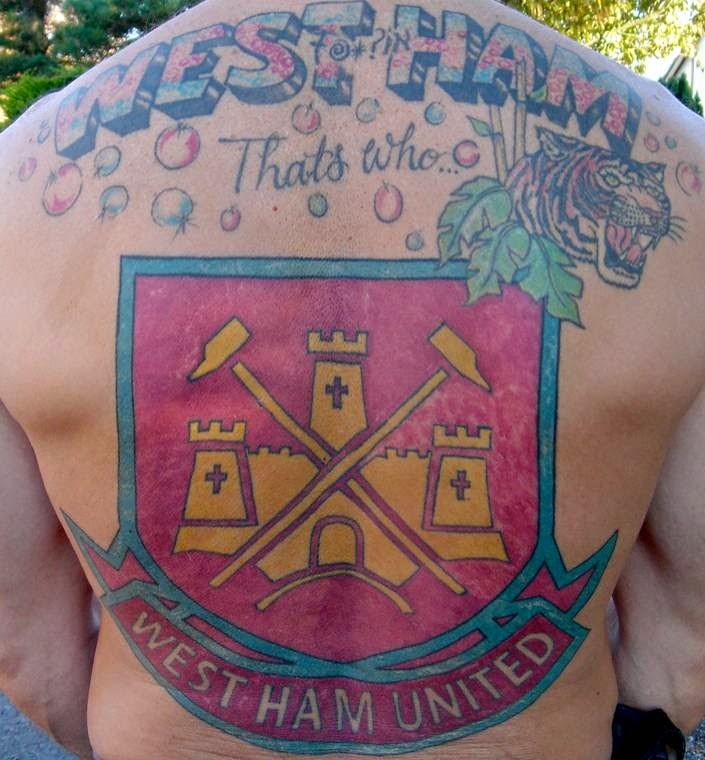 I'm sorry West Ham fans, but this tattoo is just ridiculous. 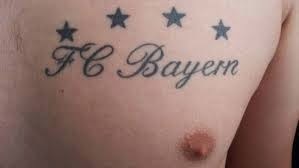 Unless this guy had an 8 year old daughter who's name was FC Bayern when he got this tattoo, this is just awful. Ahh yes, the New York/New Jersey Metrostars of Major League Soccer. Aside from the fact that it's just an odd size and placement, this crest lasted only 4 years before the club re-branded, then bought-out by energy drink giants Red Bull and renamed altogether. 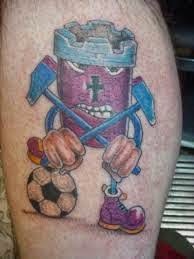 Another West Ham masterpiece, and this one may just be the worst football fan tattoo in the history of tattoos. I get the "blowing bubbles" thing but did everything have to be so big and so pink? 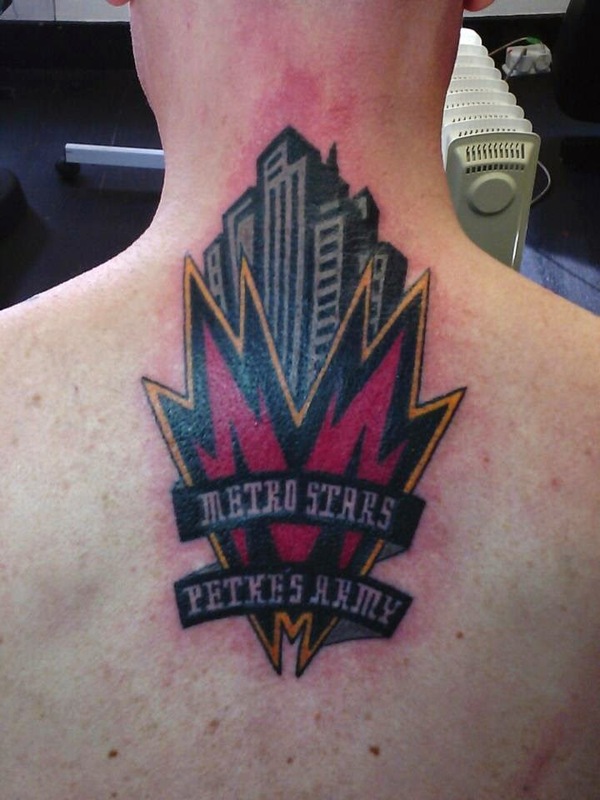 I mean, seriously, this guy couldn't wait until the tattoo shop got more of the claret and sky blue ink? And then there's the tiger head that's stuck in a vine; what the hell does the tiger have anything to do with this at all? (at least it's not a Millwall Lion, because that would just be awkward). Paolo Di Canio, the crazy Italian. 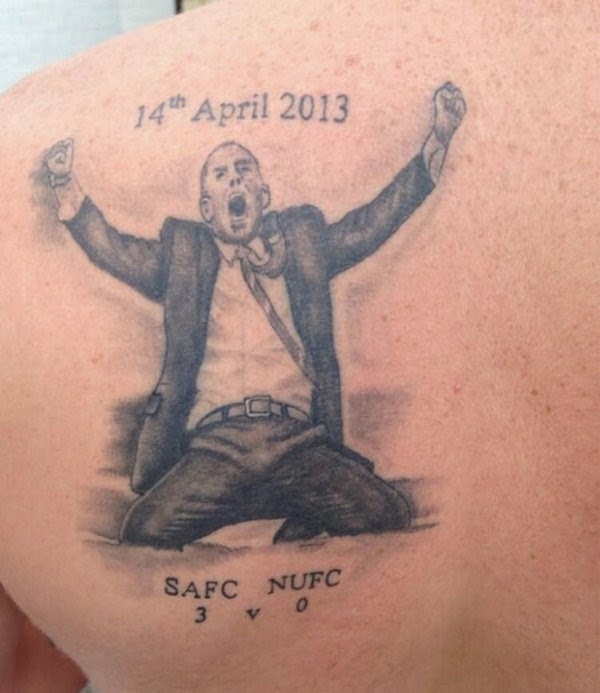 This tattoo is dedicated to the sliding celebration of the (then) Sunderland manager during a 3-0 victory over Tyne-Wear derby rivals Newcastle United. Di Canio was fired just 5 months later for a grand total of 6 months in charge of the "Black Cats". Also, did that particular win make Di Canio so happy he actually got a hard-on? or is that something the tattoo artist decide to add on his own?